VANCOUVER and VAL-D´OR, QC, Sept. 18, 2018 /CNW/ - BONTERRA RESOURCES INC. ("Bonterra") (TSX-V: BTR, US: BONXF, FSE: 9BR1) and METANOR RESOURCES INC. ("Metanor") (TSX-V: MTO) are pleased to announce that each of their respective previously announced plans of arrangement (respectively, the "Bonterra Arrangement" and the "Metanor Arrangement"), have been approved by their respective securityholders today. 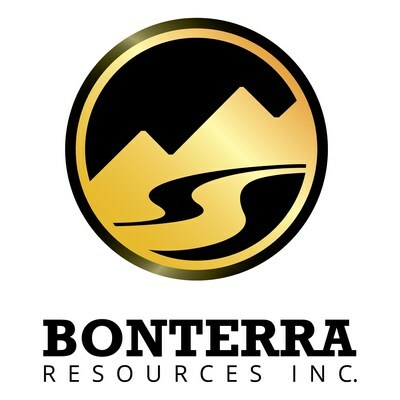 The Bonterra Arrangement, which involves spinning out of certain assets of Bonterra to Gatling Exploration Inc. ("Bonterra Spinco" or "Gatling"), was approved by shareholders and optionholders of Bonterra (together, the "Bonterra Securityholders") at a special meeting (the "Bonterra Meeting") of the Bonterra Securityholders held today. At the Bonterra Meeting, a special resolution approving the Bonterra Arrangement was approved by: (i) 97.58% of the votes cast by Bonterra shareholders; and (ii) 97.76% of the votes cast by Bonterra Securityholders, voting together as a single class. The Metanor Arrangement, which involves acquisition of all shares of Metanor by Bonterra was approved by shareholders and optionholders of Metanor (together, the "Metanor Securityholders") at a special meeting (the "Metanor Meeting") of the Metanor Securityholders held today. At the Metanor Meeting, a special resolution approving the Metanor Arrangement was approved by: (i) 87.44% of the votes cast by Metanor shareholders; and (ii) 87.96% of the votes cast Metanor Securityholders, voting together as a single class. Both arrangements are still subject to final approval by the TSX Venture Exchange ("TSX-V") and the Supreme Court of British Columbia (the "BC Court"), in the case of the Bonterra Arrangement, and the Superior Court of Quebec (the "Quebec Court"), in the case of the Metanor Arrangement. The BC Court hearing for obtaining a final order approving the Bonterra Arrangement is scheduled to take place on September 20, 2018. The Quebec Court hearing for obtaining a final order approving the Metanor Arrangement is scheduled to take place on September 21, 2018. Completion of both arrangements is expected to occur on September 24, 2018. The Bonterra Arrangement will be completed first, followed immediately by the Metanor Arrangement. Under the Bonterra Arrangement, Bonterra shareholders of record at the close of business on Friday, September 21, 2018, will receive one common share of Gatling for every seven common shares of Bonterra held. Upon completion of the Metanor Arrangement, all of shares of Metanor shall be owned by Bonterra. Holders of Metanor shares will not have any right to receive any Bonterra Spinco shares under the Bonterra Arrangement. Under the Bonterra Arrangement, Gatling shall receive Bonterra´s Larder Lake assets in Ontario and approximately $7,000,000 in cash. An application for listing of the Gatling shares on TSX-V has been filed, however listing is subject to final TSX-V acceptance. Additional information regarding the terms of the Metanor Arrangement are set out in Metanor´s management information circular dated August 15, 2018, which is available under Metanor´s profile at www.sedar.com. Additional information regarding the terms of the Bonterra Arrangement are set out in Bonterra´s management information circular dated August 15, 2018, which is available under Bonterra´s profile at www.sedar.com. Cautionary Statement: Certain information contained in this press release constitutes "forward-looking information", within the meaning of Canadian legislation concerning the completion of the Bonterra Arrangement and the Metanor Arrangement. Generally, these forward-looking statements can be identified by the use of forward-looking terminology such as "plans", "expects" or "does not expect", "is expected", "budget", "scheduled", "estimates", "forecasts", "intends", "anticipates" or "does not anticipate", or "believes", or variations of such words and phrases or state that certain actions, events or results "may", "could", "would", "might" or "will be taken", "occur", "be achieved" or "has the potential to". Forward looking statements contained in this press release may include statements regarding Bonterra´s and Metanor´s ability to complete the Bonterra Arrangement and Metanor Arrangement, respectively, and the anticipated effective date of the Bonterra Arrangement and Metanor Arrangement, which involve known and unknown risks and uncertainties which may not prove to be accurate. Actual results and outcomes may differ materially from what is expressed or forecasted in these forward-looking statements. Such statements are qualified in their entirety by the inherent risks and uncertainties surrounding future expectations. Among those factors which could cause actual results to differ materially are the following: uncertainties as to the timing of the Bonterra Arrangement and Metanor Agreement and satisfaction of the respective conditions thereto, market conditions and other risk factors listed from time to time in Bonterra´s and Metanor´s reports filed with Canadian securities regulators on SEDAR at www.sedar.com. The forward-looking statements included in this press release are made as of the date of this press release and both Bonterra and Metanor disclaim any intention or obligation to update or revise any forward-looking statements, whether as a result of new information, future events or otherwise, except as expressly required by applicable securities legislation.